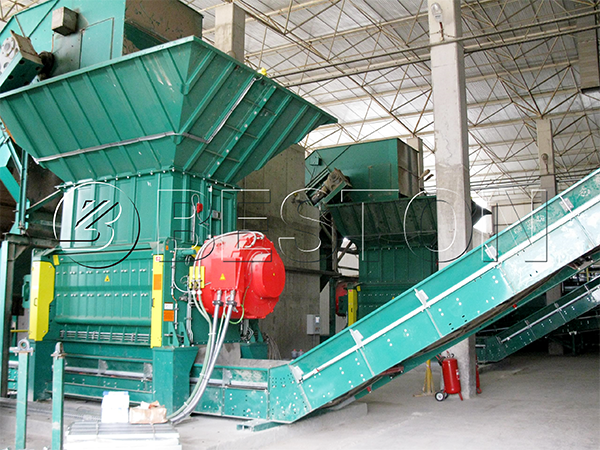 Beston waste sorting machine is a great invention in garbage recycling industry. You can sort the household garbage, waste paper, waste glass, plastic garbage, e-waste, and other waste out with it. Thanks to the MSW sorting technology, you can achieve the goal to reduce the volume of the waste. At the same time, you can also get useful energy from the waste after the waste sorting process. 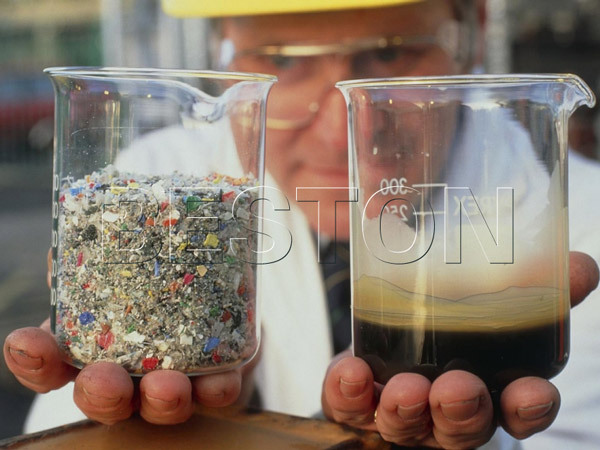 How Does Beston Waste Sorting Machine Work? 1. Put the waste in plate feeder with the receiving hopper. Then uniform distributing machine can uniformly scatter them in the belt conveyor. 2. The waste goes through the manual sorting platform, which can sort the large size waste, such as muck, industrial waste out. 3. Bag-breaking machine breaks the garbage bags, so the garbage in the bags can also be sorted. Then the waste should be sent to the rotating screening machine, which can further sort the municipal solid waste according to their size. Smaller organic waste will be sorted out, and the larger waste will be conveyed to comprehensive winnowing machine after the magnetic separation process. After this process, you will get waste plastic, heavy material (bricks, stones) and less heavy materials (textile, hard plastic and so on). 1. Plastic Waste: You can process the plastic waste into energy with our plastic recycling plant for sale. The plastic pyrolysis plant can convert the plastic waste into fuel oil , carbon black and combustible gas, and you can also process the plastic waste into plastic granules machine. 3. The sorted metal can be reprocessed and be used to make new iron materials. 4. 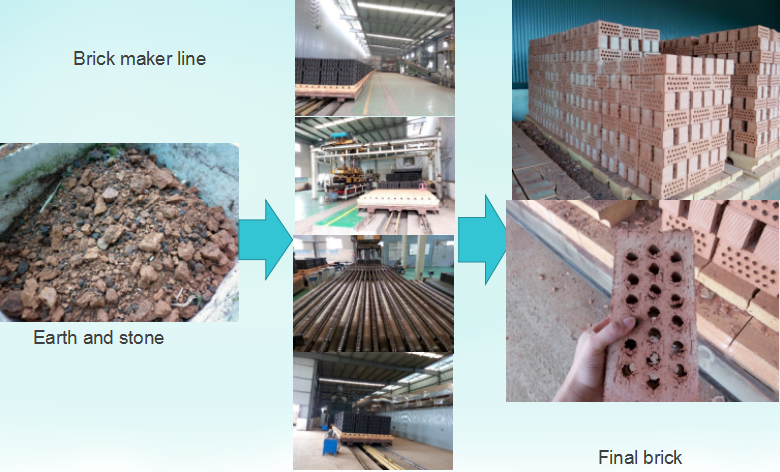 The earth and stone is the good material to make bricks, and the carbon black you get after the plastic pyrolysis process can be the material to make bricks. Why Should You Choose Our Waste Sorting Equipment for Sale? 1. It is superior in working efficiency, and the sorting rate can reach 85%. 2. Its system is mature. As a professional manufacturer, Beston waste sorting plant is equipped with the advanced systems, such as special odor control system, sealing system, PLC system and so on. All the systems can make sure that our plant will not do harm to the human and environment during the working process. 3. You can both protect the environment and make profits if you make an investment in it. We have mentioned that you can get plastic waste, waste metals and so on after the sorting process, and all the sorted waste can be energy. So it is beneficial in many ways. 4. You can enjoy the first class service provided by us. You can pay a visit to our factory before you buy it, and our sales manager will show you around. Thus you can know much better about the waste sorting facility. After you buy the plant, you can get aid from us when installing the plant. We will send you the professional engineer to instruct you. Investing in such a waste sorting machine needs a lot of information. So if you want to know more, such as its price, cost and operation methods, you can fill in the following chart to send us an inquiry.